Djabe means ’freedom’ in ashanti. 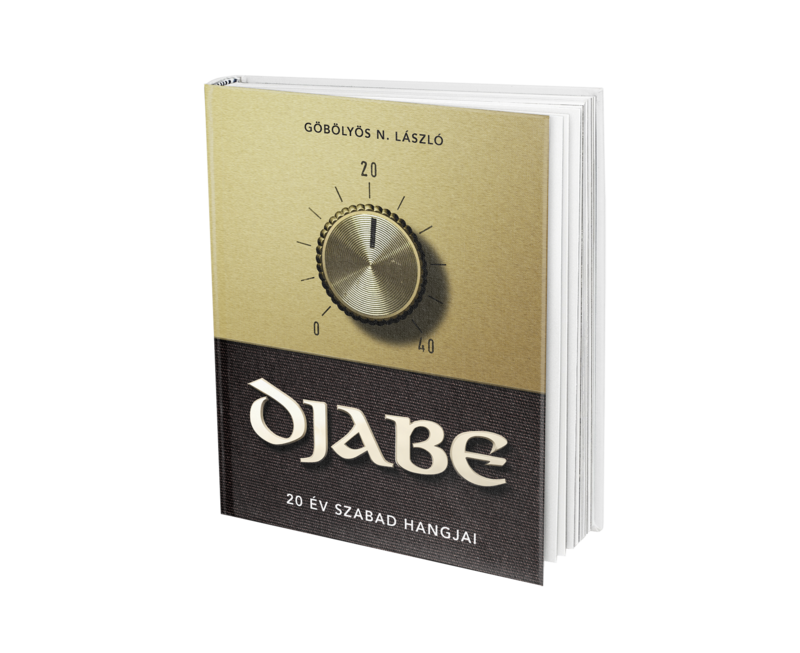 They can very well be called ’Hungary’s number one jazz/world fusion band’, but Djabe is much more than this. The musical world of theirs is a concept without borders, stepping over boundaries of genre definitions. 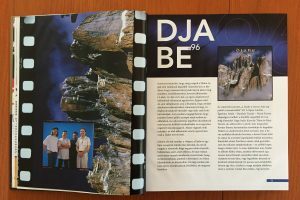 From various etno stlyes to progressive rock, from latin music to avantgarde jazz, from hard rock to real world music, from exotic tribal instruments to the classic orchestra Djabe integrated everything in their unique but still popular world, with great success. 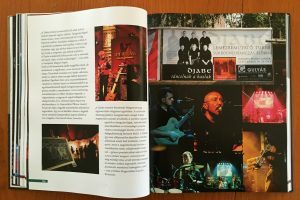 With lighting and background video projections of visual experience and often surround-enabled live gigs, and releases only comparable to the highest standards, Djabe ’exhibits freshness, dynamism, intellectual demanding and professionalism in the best sense of the world’. 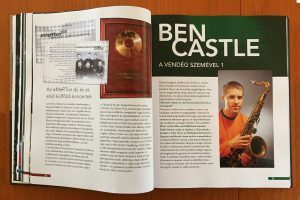 Founded by guitarist Attila Égerházi and percussionist András Sipos and later governed by bass guitarist and sound engineer Tamás Barabás, Djabe leaped for the stars int he last 20 years. As their music, uniquity is true for the story of the band, too. Int he last 20 years Djabe did live gigs in 42 countries. Organisers of festivals praised the band, as did numerous well-known guest stars. 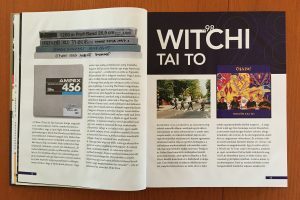 As John Nugent, producer of Rochester International Jazz Festival said: Djabe is my hobby. 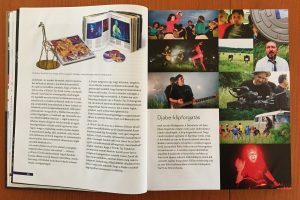 Gulli Briem of Mezzoforte called Djabe the European Weather Report. 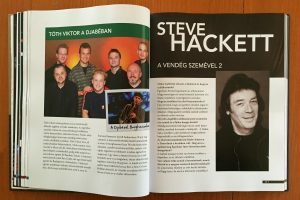 Steve Hackett of Genesis, the legendary guitarist simply said:the best band i ever played with. The quality of their releases is of the highest standards both musically and technically, and only compares to the greatest names. of the trade. They were nominated for Surround Music Award in Los Angeles for ’Sheafes are Dancing’ in dvd-audio category in 2004. They are valued and loved from South America to Japan. But also, Djabe is a real Hungaricum. 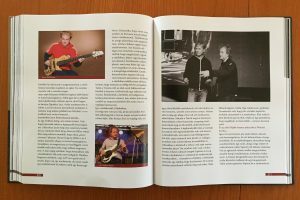 With nearly 900 color photos, the book tells the story of the band’s milestones. 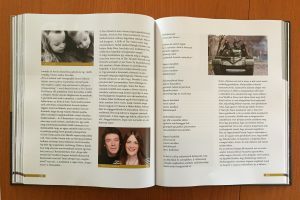 The author gave the opportunity to band members to tell their own stories about the last 20 years. These personal stories give a deep insight to Djabe never seen before. 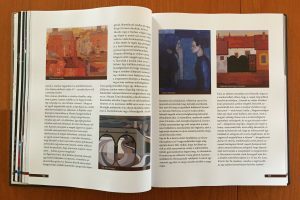 László N. Göbölyös introduces all the albums with real journalistic prowess and quotes from various Hungarian and foreign music critics. 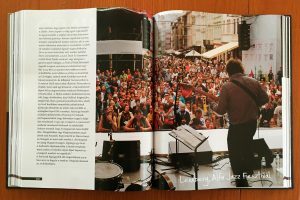 Author László N. Göbölyös, a journalist, music enthusiast, Djabe fan for life and close friend to the band, was present at almost every imortant milestone. 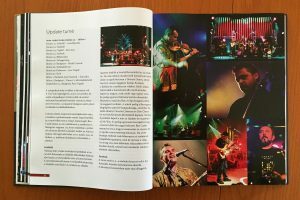 Numerous relevant Hungarian and and foreign criticisms of albums and tours are quoted on the pages. As a ’key witness’ of Djabe life achievements, his personal knowledge and journalistic prowess the author succeded in writing a book both insightful and easy to read. 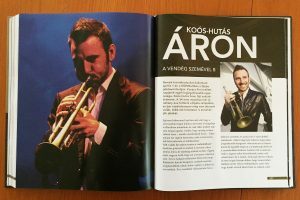 Everyone interested in 20 years of a dream come true, and enthusiastic about Hungarian musicians reaching for international recognition will enjoy the book greatly.